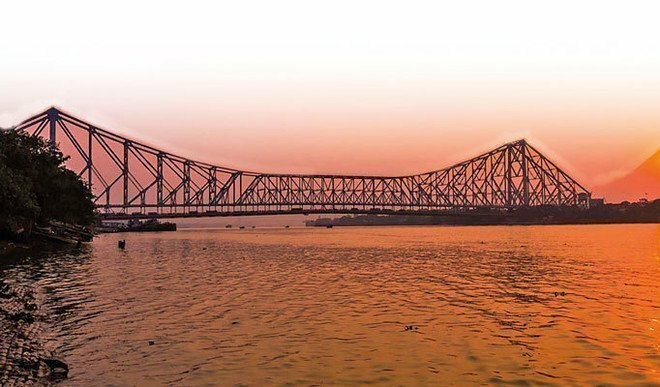 Kolkata – India’s own sub continent’s London, the city of joy, the city of palaces, the second largest city in India, the commercial capital of East India, capital of West Bengal and also an ”in your face” city that shocks and charms the visitors at the same time. It is third most populous city of India, thirteenth most populous city of the world and has also been classified into eighth largest urban agglomeration in the world. Kolkata was the capital of India during British emperor. Long known as the cultural capital of India, Kolkata continues to spawn generations of poets, writers, film producers and Nobel Prize winners. 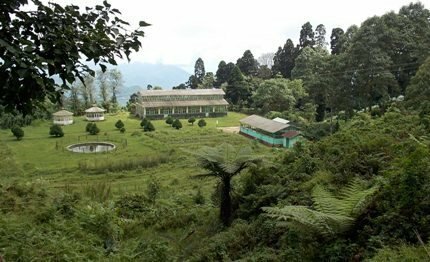 If you want to have a memorable trip to India and it only allows for a visit of one or two of India’s metropolitan cities, then definitely consider placing Kolkata on your itinerary. Love it or hate it, you definitely won’t forget the city on the Hooghly. It is a place where different travelers like, God lovers, experience seekers, photo fanatics all can get what they are looking for. Kolkata’s history is closely related to the British East India Company, which first arrived in 1690, and to British India, of which Calcutta became the capital of in 1772. Job Charnock was widely known as the founder of Calcutta but in recent years a number of Indian historians have disputed this claim, arguing that Calcutta occupies the site of an older Indian city, centered around the ancient Kali temple at Kalighat. This claim has been accepted by the Kolkata High Court. The city has the most fabulous, fast and cost-effective transport system with metro rails, public bus (CSTC, WBSTC) system, which is a rapid transit system serving the metropolitan area, though the quantum and time limit should be a bit more extended. This is different from Delhi, Mumbai and Bangalore metro which is mostly overground. Its admitted that the AC buses are much more comfortable though the price is a bit more than the non-AC buses. There are new metro lines being built now to serve all other parts of Kolkata including Sector 5, Joka, Airport. Metro pass can be purchased for a price of Rs.100. Tram has turned into an immemorial heritage for which the entire Kolkatans are proud of and adds to the romantic element of the city. Kolkata is the only Indian city with an operational tram network. The first electric tram that came in to force in India in 1902, through the heart of this city was in Kolkata as one of the oldest memory of the Britishers. Tram is one of the cleanliest and environmentally friendly modes of transportation. 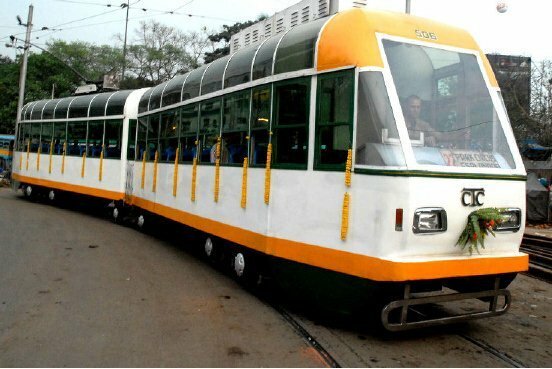 Tram service is intimately associated with the history of Kolkata and portrayed time and again in films and novels as a well-known culture of Kolkata. It was only in 2013, that the Calcutta Tramways Company Limited initiated plying of the Air conditioned trams in Kolkata. Kolkata’s most well-recognized symbolization which is inextricably plying the streets of Kolkata since the 19th century and is now in the 130th year of existence. People here have a benevolent and jovial attitude. This city is harked upon as a city of hustle-bustles. Especially, in the last 20 years, the cosmopolitan city has undergone enormous reformation with advanced technology and invention of the internet. People prefer to live near the city center to avail all modern amenities and facilities, like advanced education, healthcare, transport and industrial exposure. A large portion of the population here is into Government or private service in banking, insurance, finance, media, IT and small-scale business industries. Durgapuja – The Auspicious and momentous festival of the Bengalis which marks the celebration of the victory of Goddess Durga during her battle with the demon called ‘Mahishasur’. This festival denotes the triumph of good over evil. Goddess Durga is worshipped in all pandals and the city is decorated with festive lights all over. Goddess Durga is considered to the Goddess of Strength and she is depicted riding a lion, holding ten different weapons in her ten hands. This festival honors the indomitable female force in the form of ‘Shakti’ – power and is celebrated with great enthusiasm. In Durga Puja, the primarily Goddess Durga is worshipped and occupies the central position in the stage decoration in addition Goddess Lakshmi, Goddess Saraswati, Lord Kartik and Lord Ganesha. People dances to the rhythm of drums and musical chants. We vigilantly wait to celebrate this festival in full grandeur, the victory of peace, harmony, and prosperity. People celebrate this festival here fanatically with zeal and zest in full ecstasy by distributing sweets and gifts among relatives, and every house cooks sweet dishes like ‘Payesh’ to exchange with each other, which clearly distinguishes Bengal from other regions. These customs deserve accolades as it helps to foster a feeling of love, kindness, unity, and brotherhood in the region and also refreshing the minds of the people. This type of cultural values binds the nation as one unit and help us think in a healthy manner contributing to the peacemaking process. 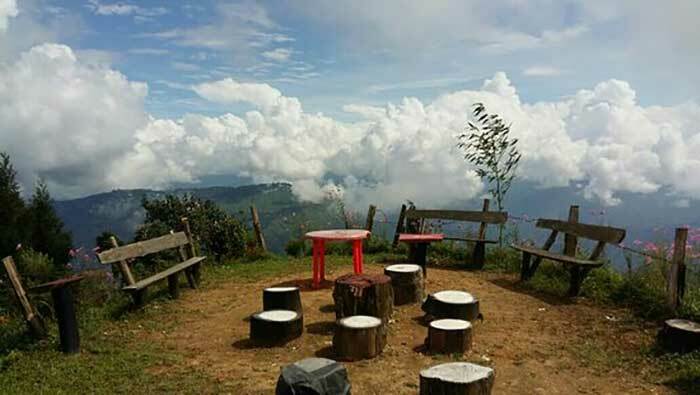 Looking beyond the tabloid, with the rise in living standard and change in lifestyle, these days people like to enjoy ‘Durgotsav’ in an out of ordinary manner by planning expensive tours out of the city. In the contemporary era, the gargantuan weddings are too flamboyant in nature, and they really cost a fortune, though it admitted they are pretty amusing. Brides in our region garb themselves in bright red attire for their betrothal ceremony and get carried away in bridal carriage ensued by a platoon of friends and relatives. Bengali language- The local dialect: They have a colloquial accent of the local dialect with few distinctive notes like they ‘eat’ water instead of drinking and prefer to call pani puri in the name of ‘Puchka’. 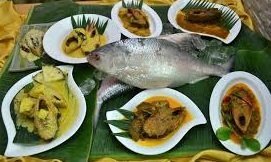 Most particularly people in my province have a flair for spicy cuisine like lobster curry, ‘Ilish – macher – paturi’ an item made from ‘Hilsa’ fish wrapped in banana leaf. It comes from a place called Diamond Harbor, which is famous for fish culture. Hilsa festival is also held every year in this city. HAVE A BITE: WHERE TO EAT? Balaram Mullick & Radharaman Mullick– Serving best traditional Bengali sweets in the city, especially Sandesh and Rasogolla. Bhojhari Manna– named after the famous Bengali song rendered by Manna Dey in the 70’s, is a family of restaurants with a difference and serves a delightful variety of Bengali cuisine. The menu is handwritten every day on a whiteboard and is designed keeping in mind the season, the weather, the festivities and of course the raw material available on that given day. Dacres Lane– Full of eateries, from where you can choose your own options as per your desire. It is full of Roadside stalls, small restaurants; congested. One can get cheap, good, tasty food. The most famous restaurant in this lane is Chitto’s shop. Nizam’s– Situated in the new market area. The Original flavor of Kathi rolls can be tried here as they are the inventors of the delicious rolls. Food is as good as one can imagine. “Oh! Calcutta!” – On the Fourth Floor of Forum Mall, Elgin Road or third floor of Silver Arcade at EM Bypass serves authentic Bengali food. The specialties are the boneless Hilsa Fish fillet, steamed in a banana leaf and served with a Mustard Gravy. Sholoana Bangali– you will have awesome seafood which will be memorable for your taste bud for the lifetime. Most famous is Prawns which are steamed inside the coconut. Paramount Syrups & Shakes– give a try to the taste of cold milkshakes with selected flavors of Green Mango, Rose, and Vanilla, Coconut Water (locally called ‘daab’) available at College Square. Very famous among new dating couples. Shibuji’s Soda Shikanji– a small non-descript store that is on Theater Road, just east of Camac Street. Shikanji is a mixture of pop/soda like Coca-Cola or cream soda with special Indian spice mixture made of salt, pepper, and lime and the couple other common herbs. During the Holi Festival, it’s a good place to get thandai, a delicious sweet spicy drink made with milk, saffron, pistachios, and other nuts and herbs (including bhang on request). Most of the bars and restaurants are scattered in and around Park Street. ‘Tantra’ and ‘Some Place Else’ at Park Hotel on ParkStreet is a must visit pub. Other pubs include ‘The Myx’, ‘Sam’s Pub’, ‘Olypub’ and so on. In most of the cases, tourist like to put up in hotels near the park street area to enjoy the nightlife in the city. Overall joyous ambiance and enriched cosmopolitan culture create a feel of throughout festive mood. As accentuated upon by overseas visitors, our city may not have a high profile as the national capital, but it is distinguished for its legendary history accompanied by profound heritage. People try here to use more public transport to control the pollution level and maintain the traffic hygiene. People here value culture more than anything. 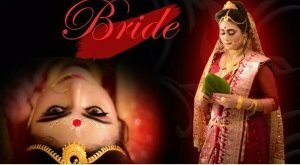 Every house has someone who knows to sing Rabindra Sangeet and learn classical dance, music, and painting. Streets remain overcrowded from dawn to dusk, especially those in the commercial areas traffic hygiene is not praiseworthy. The road condition is detesting and despicable and therefore should be taken care of by local municipalities. Due to the extreme weather condition, summer is hot and humid while the monsoon causes a lot of water lodging. Most of the people here are a bit lethargic due to weather condition. Sudder Street is known for drug peddlers. Avoid staying near this area. There are plenty of faults travelers make that lead to monetary loss, time loss, and missed opportunities. Don’ t eat at food joints near major tourist site: The food near any major attraction is going to be double the price and half the flavor you are looking for. When restaurants know people are not returning, they don’t have to bother about consistent quality. Instead of eating in a tourist trap, walk a few blocks away down the alleyway. The further distant you are from the tourist attractions the more inexpensive and tastier the food will be. It is advisable to take mineral water instead of regular drinking water if you are new to the city. Don’t exchange money at the airport: You might get the worst exchange rates if you do. To get the best rates, use an ATM or credit card to ensure that you are not getting ripped off. Don’t be penny wise pound foolish – Yellow cabs, Uber and Ola’s transport is where your budgets can be bound in Kolkata— they are not that overpriced to skip instead of using public transport. Especially if you are splitting the fare among co-travelers or need to get somewhere super late at night, Uber and Ola come to your rescue. You.ab can ask for rate chart if you avail the yellow cab. Don’t book your travel early – Though you might get excited about your trip and still don’t book your flight, hotel, or resort right away otherwise you shall be the person who ends up paying more. That is the mistake we commoners do. The early bird does not always get the worm when it comes to travel. Wait for the correct deals. For your flight, wait about three to four months before your trip as this is the time when airlines start to raise or lower prices based on demand. Don’t skip the local tourist office – I am always amazed at how few tourists never visit the local tourism board as their first stop on any trip to seek information on what to see, what to do and where the deals are. Tourism offices have advice on current events, festivals, and off-beaten-path info which you are not going to find in any guidebook. They, in fact, get paid to help you. They have maps and discount cards for amusement parks and can aid you in booking accommodations. Avoid visiting Calcutta in summer or monsoon– It is better to be well informed of the right time to travel here. Avoid trying to see too much in short time– It can be too stressful if you are trying to do so which may cause you to feel worn out. Don’t dress inappropriately– In case if you are using public transport drape yourself in a more covered attire else people might be stoked to see you inappropriately. Avoid staying out in late night hours– Pick-pocketers can easily identify tourists and if you are a solo traveler don’t ever stay out late after 11pm. Avoid Over packing – Overpacking is not recommended as you are obviously going to do a great deal of shopping once you land in this city. Avoiding these common mistakes will help put a pause in wasting money, save time, have more rewarding experiences and be a better traveler. If you put in some extra work, you’ll save big, and the less you spend, the more you can travel savvy! Kolkata is easily accessible by air and is also well linked to other parts of the country by railways and roads. Airways: Netaji Subhash Chandra Bose International Airport which is 17KM away from Kolkata City Centre is one of the fifth busiest airports in India. It is one of the top ten airports in India having three terminals – The domestic, international and the cargo terminal. [UPDATE]: The existing International terminal and domestic terminal is now integrated to a single L-Shaped terminal having 5 floors. The Kolkata airport serves 31 destinations within India and connects Kolkata with South East Asia. Most of the traffic towards the Western hemisphere is handled by Cathay Pacific, Emirates, Etihad Airways and Qatar Airways. Railways: Kolkata is having four major railway stations – Howrah, Sealdah, Shalimar, and Chitpur. Directly facing Howrah are ferries that can get you to the other side of the river either ‘Babu Ghat’ or ‘Fairlie Place’ from where you can arrange onward transportation with anything from taxis to public buses to human rickshaws. With the traffic situation, this might actually save you time as well as money. Roadways: Numerous options are there if you are planning to come via bus. Buses are available from all the neighbor states. Esplanade Bus Station is the Kolkata’s main station for inter-state and inter-city buses. October to February is the best time to travel and perhaps it will be more fruitful if you can attend the five days long Durgotsav, the annual Asian Hindu festival. The trip duration of around 4 to 5 days is sufficient. 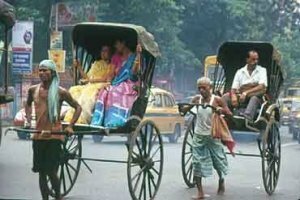 Though Kolkata is a city which has enormous places to visit, offers awesome food for food lovers and attracts tourists with its traditional culture. It cannot be explained in just one article. It can be felt by being there and by experiencing it live. So pack your bags, pull up your socks and land on the city of Joy for a lifetime experience. Nice blog.. Detail and elaborate write up. nice info you shared, love this city a most. already went last year and found lots of hidden happiness. Thanks for the compliment. It really matters.